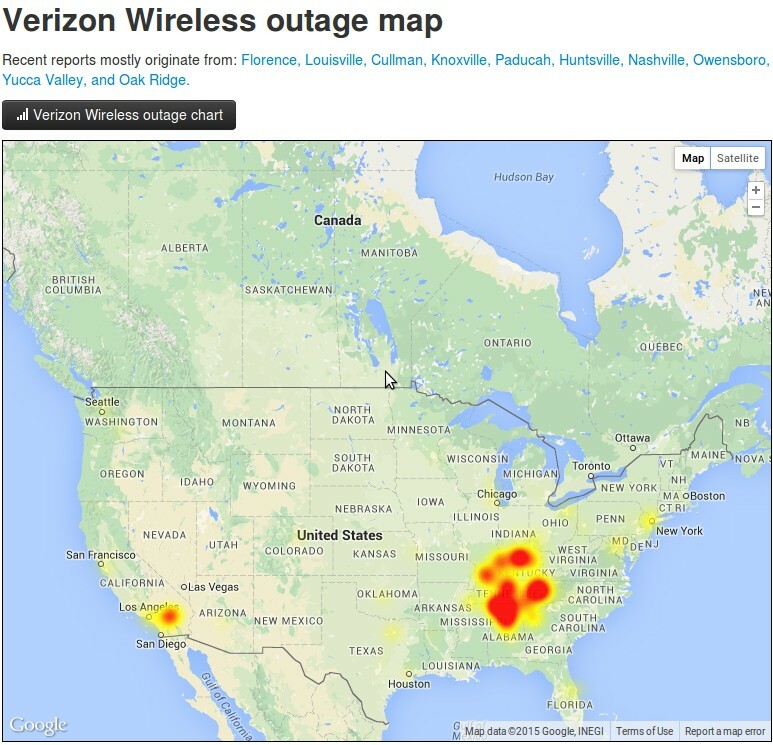 Were Massive Cell Phone Outages Across Parts Of America Another 'Beta Test'? Is There A Jade Helm 15 Link To What Happened? Back on July 15, 2015, the kick-off of Jade Helm 15, Susan Duclos put out 2 stories on All News Pipeline in reference to some very strange events that had begun. In 'Major Red List Alert! ', she shared with us some 'coincidences' that just happened to coincide with an alert from the website of Steve Quayle from a whistleblower who warned of planned outages of major utilities in at the California/Nevada border. Her followup a few hours later called "Something Very Strange Is Happening Right Now! 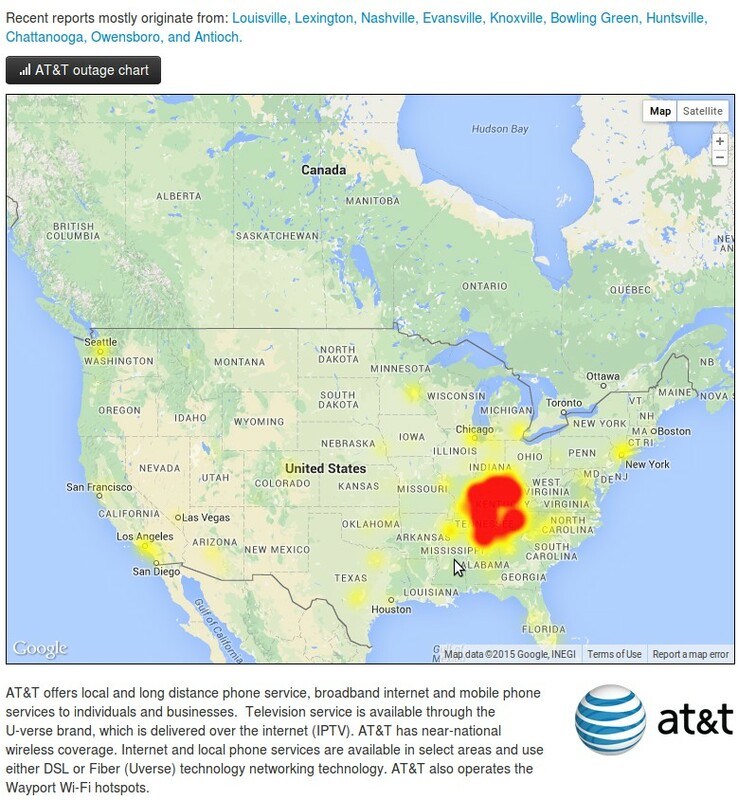 Jade Helm 15 Begins Same Day Service Outages Reported By Multiple Providers Across America" detailed for us the amazing 'coincidences' that happened later that day including massive phone and cable outages in that region. That 2nd story from Susan went viral today after massive outages of phone services happened all across the deep south in America as seen in the screenshots from Down Detector taken a short while ago below. 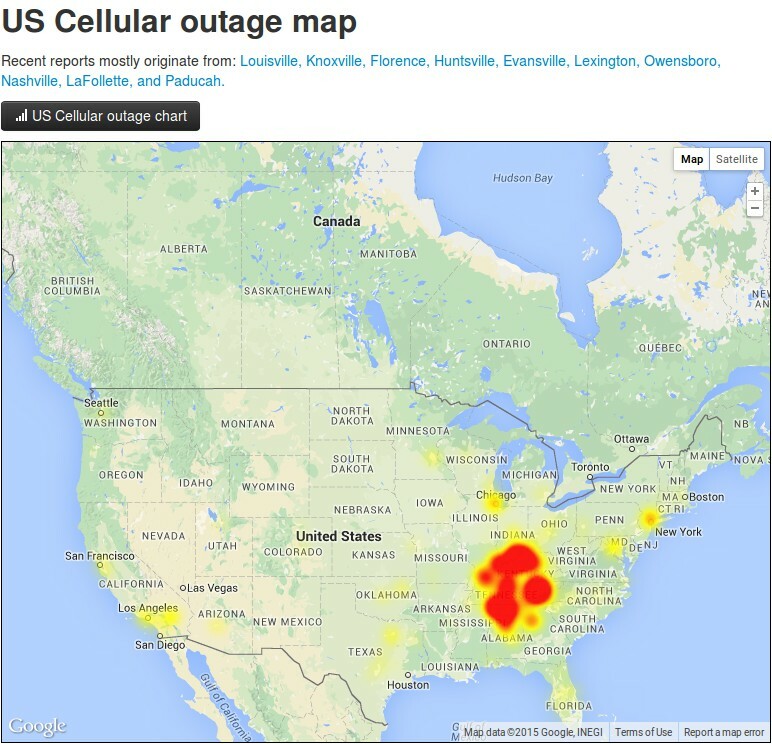 From Louisville to Knoxville to Evansville to Lexington to Nashville to Paducah, the maps lit up with phone service carrier outages ranging from US Cellular to AT&T to Verizon and more. On July 16th, Susan told us that the mainstream media was completely silence about the outages on July 15th and asked if we were witnessing some kind of a 'beta test'. 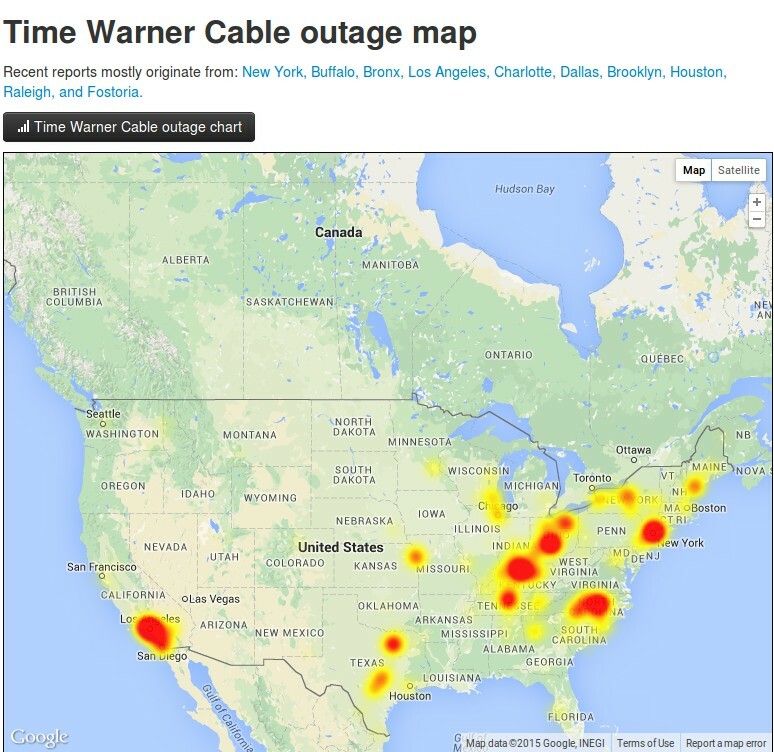 Of course, after the very strange outages today that have been blamed on a number of different reasons including a cut fiber optic line to computer errors, theories as to the real reason why this is ongoing have been flourishing on the internet. 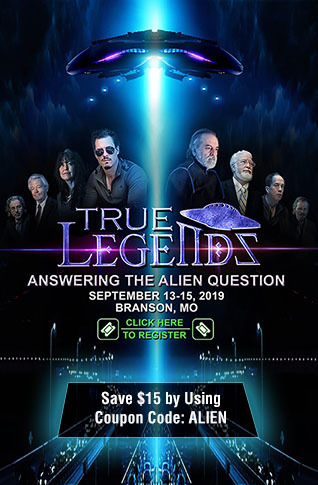 Two weeks ago, Susan asked if "September of 2015 will change everything" and asked if Jade Helm 15 really will end in September or if all of the military exercises across America are in preparation for an upcoming financial collapse. Soldiers at a Jade Helm military exercise training site in Mississippi reported hearing gunshots near the facility Tuesday before noon, according to police. Perry County Sheriff Jimmy Dale Smith told WDAM-TV that the soldiers were training at Camp Shelby Joint Forces Training Center near Hattiesburg. Mississippi’s National Guard said soldiers training at Camp Shelby reported hearing shots fired at 11:45 a.m. along Peret Tower Road, near the training facility. The facility is secure and all personnel accounted for and unharmed, the guard said in a news release. The facility, Camp Shelby, described as “the largest state-owned and operated field training site in the United States,” is one of two locations in Mississippi where US Army Special Operations Command is currently conducting the controversial eight-week Jade Helm training exercise. Back in March, Infowars reported that, in addition to the seven initial southwestern states, Jade Helm operations would also be run out of Mississippi and Florida. While we still do not have all the answers, it's still legal in America to ask questions about events such as the ones we are witnessing and without any firm answers from TPTB about any of the events that are ongoing in preparation for who knows what, we'll continue to ask questions until we get some answers or all communications in America are cut off by the NWO in preparation of concluding their 'end game'. Several videos below including updates on the outages on July 15th, 2015. As Steve Quayle reminded us, when the phones and power are already out, for good, it's already too late.